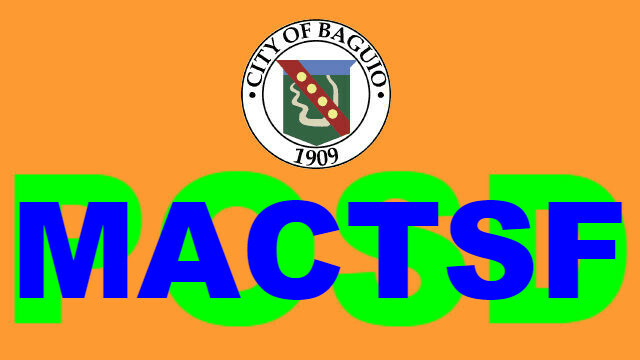 BAGUIO CITY – The City Council approved on first reading a proposed ordinance seeking the creation of the Mayor’s Anti-Crime Task and Security Force (MACTSF) in lieu of the Public Order and Security Department, defining its purpose, functions and duties, providing for personnel standards and qualifications, establishing its rules of engagement and other purposes. The local legislative measure authored by Councilor Edgar M. Avila stated that the (MACTSF) will be under the City Mayor’s Office wherein its primary functions will be to fully implement all city ordinances and to formulate and implement a concrete program of action of all law enforcement, intelligence and other government agencies for the prevention and control of crime. Further, the MACTSF shall be under the general control and supervision of the City Mayor. The ordinance stipulated that the MACTSF shall be headed by an Executive Director to be appointed by the City Mayor and shall have deputies for operations, plans and programs and other directorates as may be created as the situation demands. The MACTSF shall implement laws, established, through the use of modern information and telecommunications technology, a shared central database among government agencies for information on criminals, methodologies, arrests and convictions on crimes and violation of ordinances; supervise and control conduct of the operations cited; establish a central database on the subject ordinances, violators among others with the end view of recommending measures to strengthen responses and provide immediate interventions for the prevention, detection and apprehension of violators of the same; establish a center for strategic research on the structure and dynamics of crimes in all its forms, predict trends and analyse relationships of given factors for the formulation of individual and collective strategies for the prevention and detection of crime and for the apprehension of criminal elements involved; design programs and projects aimed at enhancing city capacity-building in combatting crime, as well as supporting the related programs and projects of the national government in its fight against crimes; explore and coordinate information exchange and training with other government agencies and non-government organizations; select personnel from within the armed forces and the police and other government agencies for detailed with the MACTSF; enlist the assistance of any department, bureau, office, agency or instrumentality of the government, including government-owned or controlled corporations, to carry out its functions, including the use of their respective personnel, facilities and resources and perform such functions and carry out such activities as may be directed by the City Mayor.